It's no longer necessary to stock 5 different Fixed Pressure settings. Globe's Model ARV, the only Listed Adjustable Relief Valve for fire protection applications, is generally available. The ARV is designed to relieve excess pressures due to potential thermal expansion issues up to 310 psi (20.6 Bar) and is suitable for system working pressures from 175 psi (12 Bar) psi up to 300 psi (20.6 Bar). 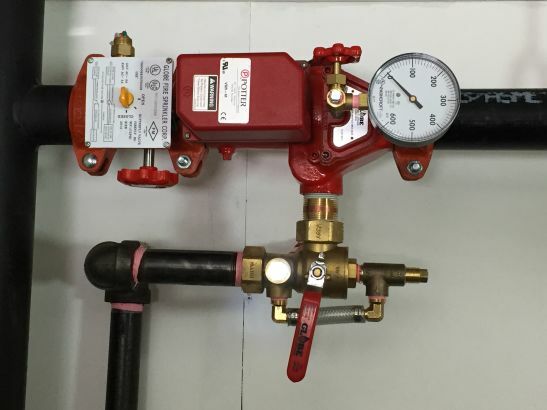 Globe designed the ARV to save sprinkler contractors time and money: there's no need to remove the relief valve and drain the system to conduct a required System Hydro Test. Installers can optimize their savings by pairing the ARV with Globe's Model UMC Universal Manifold Check, which cuts time for floor control and shotgun riser assemblies by at least 1/2. Globe's Model QD Quick Drain, a UMC accessory, saves 1/2 the time of traditional hard piped drains, allowing for even quicker installations. The Globe UMC is available in many configurations, allowing you to order the type that meets your specific needs — and eliminates the need to order separate riser manifolds and control, check and relief valve kits. The ARV is cULus Listed, FM Approved, and patent pending. See Technical Data Sheet GFV575 for a complete product description. All wet systems require a Listed or Approved minimum ½” relief valve since the 2010 edition of NFPA-13. Please contact us for a distributor to order the ARV.